Next to the wheel, breast pumps are one of the greatest inventions ever. 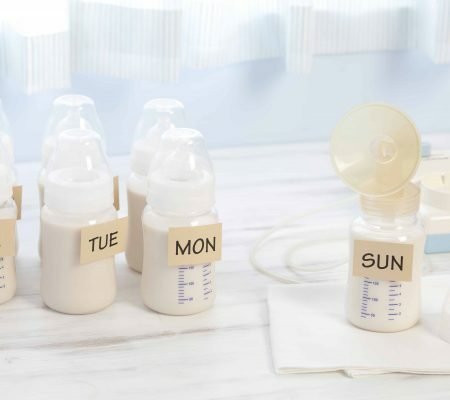 They allow you to pump your breast milk, store it, and provide that “liquid gold” to your baby whenever you want, even when you’re not there. You can freeze your pumped milk to ensure it stays fresh and nutritious, but when pulling out that little treasure of frozen milk, you must wonder, when does frozen breast milk expire? According to the Mayo Clinic, frozen breast milk can last up to 12 months, but it’s best used within six months of freezing in a deep freezer. The Mayo Clinic also explained that the longer you store breast milk in the fridge or freezer, the more it loses its content of vitamin C and the breast milk you store when your baby is younger may not meet the needs they have when they are older.